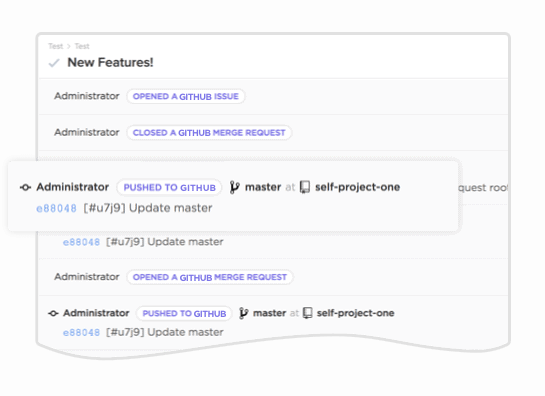 GitHub gives you complete control over the DevOps lifecycle. 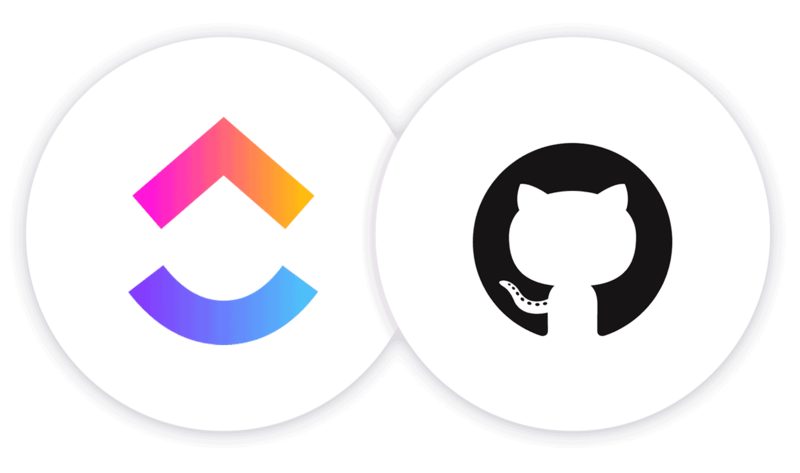 This is the best way to manage repositories, issue tracking, and technical projects. 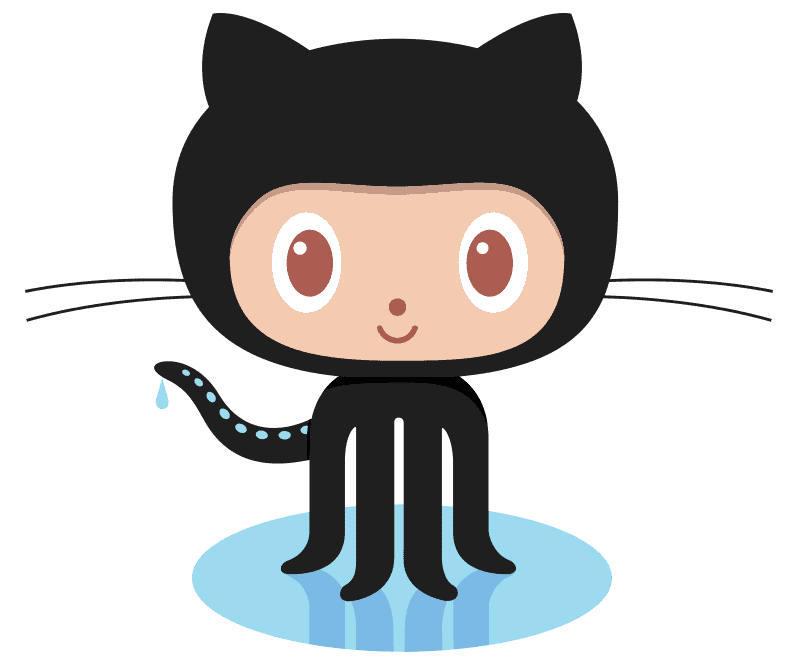 Receive ClickUp notifications when new GitHub activity items are added to tasks. 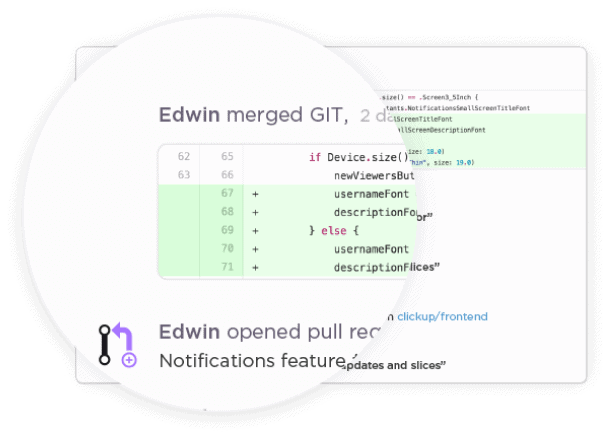 Manage commits, pull requests, and branches. 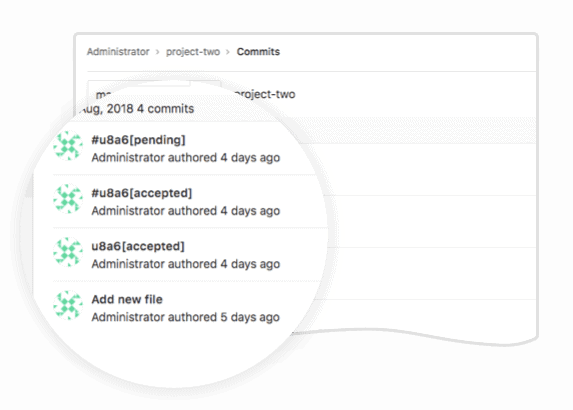 Change the status of a task from a commit, issue, or merge request! 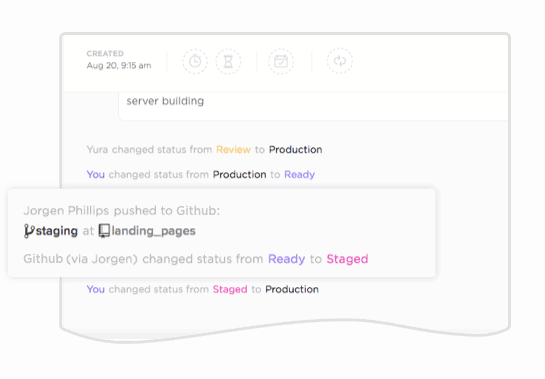 One click to view your commits, branches, and merges directly from activity in ClickUp.